1. Date of birth: 1878 or 1879? ‘Tomorrow I will turn 63 or 64 years old’, Korczak wrote in his Diary on 21st July, 1942, exactly two weeks before his death. Why didn’t he know when he was born? It seems to be the result of his father’s overlooking some required formalities. Józef Goldszmit took a long time to obtain his son’s birth certificate. What was the reason for this? The father’s own hesitation could have played a part, as he was obliged to decide about his son’s Christian or Jewish identity (see point 2), although today, many scholars tend to question this motif. As a result, to date it is not clear whether Janusz Korczak was born on 22nd July 1878, or 1879. The man who was celebrated in the year 2012 was in fact named Henryk Goldszmit, as this is the name which was bestowed upon the son of Cecylia nee Gębicka and Józef Goldszmit and registered by the state office. In accordance with Jewish tradition, he was named after his grandfather. In the years to come, Hersz was a name used on special, festive occasions and in everyday life, he went by the name Henryk. In hindsight, it seems that the choice of the name took on a deeper, symbolic meaning. Korczak followed in the footsteps of his grandfather, who had been a doctor in Hrubieszowo, where he also founded a Jewish Hospital. But in the end, the choice of the name and its registration at the kancelarja dla wyznań niechrześcijańskich (chamber for non-Christian religions) signified a national identity, and this choice proved to be a tragic one. Janusz Korczak is a literary pseudonym in which the error of a typesetter played an important part. In 1898, the 19- or 20-year-old Henryk Goldszmit submitted two of his plays to a literary contest announced by Ignacy Jan Paderewski. He signed one of the plays Janasz Korczak (at the time, he kept a copy of Józef Ignacy Kraszewski’s novel about the titular Janasz Korczak and the beautiful daughter of a swordsman on his desk), and the other one simply Janusz (using this nome de plume throughout the year 1898). In March 1898 it was the author Janasz Korczak who received a special mention in a contest for the play entitled Którędy? (editor’s translation: Which Way?) and about one year later – probably as a result of the contamination of both versions – the final pseudonym became established in the form known to us today. At the time, Henryk Goldszmit was already enrolled as a medicine student at the Imperial University, and he was also an aspiring writer (see point 4). 4. What did Korczak read? Korczak was then no longer just an aspiring man of letters, he was already a regular columnist. In 1896, as a gimnazjum (Polish junior high school) student, he began publishing in the humorous magazine Kolka. In 1901, he published fragments of his first novel Dzieci ulicy (editor’s translation: Children of the Street) in the form of a supplement to the Czytelnia dla wszystkich journal. That same year, the entire novel was also released as an independent publication. In 1904, another much more prestigious magazine, Głos (The Voice) started releasing his Dziecko salonu (The Child of the Drawing Room) – which is certainly a mature writer’s work, a novel whose marks of excellence haven’t withered with time. What had shaped Korczak’s literary sensitivity? He read huge amounts of books in his early childhood, and, as a teenager, he followed Kraszewski’s work (see point 3), as well as Goethe’s Faust, and works by Victor Hugo, Zapolska, and Sienkiewicz. One of the fascinations from this early period which would stick with him for life was Tyrteusz by Władysław Ludwik Anczyc. Later, pedagogical and medical works were added to his library, but also The Capital by Marx. In 1898, he chose medicine as his area of study, and later effectively become a doctor. In Spowiedź motyla (Confession of a Butterfly) his alter-ego states that ‘literature is words, medicine is deeds’. Yet, he was always also a writer, and he took great care for his words to become deeds, for them to have an impact on the world, transforming it. 5. Korczak – a decadent? We visited brothels and bars together, we wandered across the sandy shores of the Vistula river, we celebrated prostitutes’ birthdays, we got drunk on stinky vodka with muggers. Liciński left behind a portrait of Korczak, a character named Janusz, in his short story entitled Dziwne rzeczy (Strange Things) in the Halucynacje (Hallucinations) series. Liciński died of tuberculosis in 1908, at the age of 34. Korczak’s youthful years as a student seem to have been interrupted by his participation in the Japanese-Russian war of 1905. He was enlisted into the army as part of the last wave of recruits, in June 1905, when the war had practically been lost. After a long journey, he found himself in Harbin, Manchuria, close to the Chinese border. Inside train wagons transformed into field hospital rooms, Korczak worked as an army doctor. But even during those war years, Korczak was always himself, always sensitive to the fate of children. He recalled buying a beating rod off a sadistic Chinese teacher in one of the villages – it would later serve as a skipping rope for children at his Orphans’ Home. Korczak’s return to Poland from the war was postponed, and on his journey back, he witnessed the utter chaos and slackness accompanying the outburst of the revolution in Russia. On his way back, during a workers’ rally in a town in Russia, he made a speech in which he draws attention to the meaning of childhood in human life. He finally arrived in Poland as late as March, 1906. The Japanese-Russian war was the first armed conflict in which the future pedagogue took part. Later came the First World War, during which Korczak was the younger chief physician at a field hospital of Samsonov’s army division. His work called Dziecko w rodzinie (The Child in the Family), the first part of the Jak kochać dziecko (How to Love a Child) tetralogy was written during this period, ‘inside the field hospital, beneath the canons’ thunder’, as he himself commented. 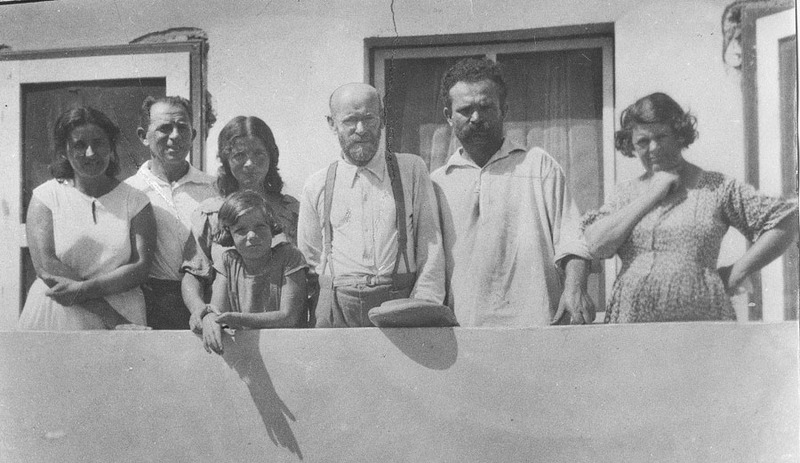 During a short vacation in 1915, Korczak made a journey to Kiev, where he met Maria (Maryna) Falska with whom he would later closely collaborate in Nasz Dom (see point 7 and 8). This time, it would take four years for Korczak to return to Warsaw, where he arrived in 1918. In the winter of 1920, Korczak was relegated to work as an army doctor during the Polish-Bolshevik war of 1919-1921. At the epidemiological hospital in Kamionek, he contracted typhoid. His beloved mother took care of him at home and died after catching the disease from her son. Korczak recovered. After a period of recuperation (from August 1920 through to March 1921), he got other military allocations. It was also the last military conflict in which Korczak participated as a member of the army. On 31st December, 1938, due to his age, he was relieved from general military duty. In spite of this, during the first days of the war, as part of his own patriotic stance, Korczak walked around Warsaw dressed in a military uniform which he ordered especially for the occasion. 7. Korczak’s orphanages – how many were there? From 1905, after finishing his studies, Korczak continued to work at the Hospital of Baumans and Bersons on 51 Śliska Street (presently 60 Sienna Street). Simultaneously, he conducted his own private practice for young patients. A new chapter in Korczak’s life opened on 14th June, 1911, when the cornerstone for the Orphans’ Home building was laid on 92 Krochmalna Street. This was the result of numerous efforts by the Pomoc dla Sierot (Aid for Orphans) Society, whose board Korczak was also a member of. 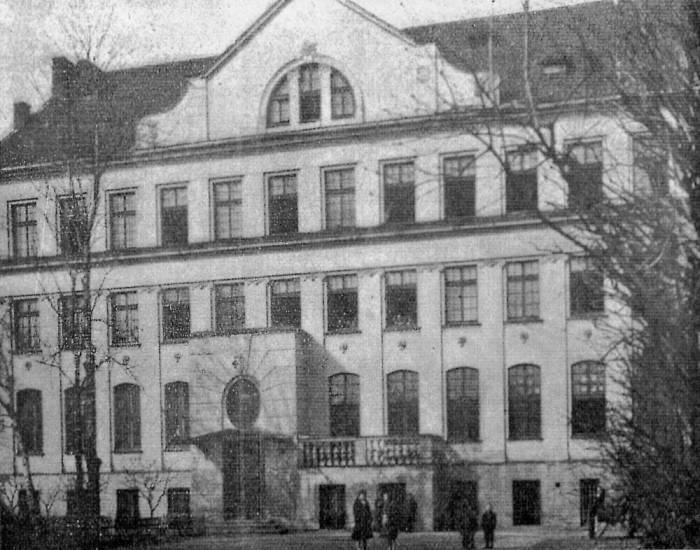 The building (which still stands today, housing an orphanage and the Korczakianum Documentation and the Research Centre Department of the History Museum of Warsaw, on present-day Jaktorowska Street) was opened on 7th October, 1912 and it was founded with money raised by wealthy Jewish inhabitants of Warsaw – philanthropists and industry investors. From that moment on and for the next 30 years Korczak would devote himself to running the Orphans’ Home on Krochmalna Street (even if its address would change). In early November, 1940, one year after the creation of the ghetto, together with Ms. Stefa and his children, Korczak was forced to leave Krochmalna (which now found itself outside of the ghetto) and to transfer into a building of the State Trade School on 33 Chłodna Street. A year later, in late October 1941, due to yet another transformation within the closed-off district, the Orphans’ Home moved again. This time the Home relocated to a building on 16 Sienna/9 Śliska Street, close to Bersons’ Hospital, where Korczak had spent much of his youth. The last time the children had to move together with their teachers was on August 5th, 1942 – when they went out onto the Umschlagplatz. But this was merely a part of Korczak’s involvement with orphanages. On 15th November, 1919 the workers’ dormitory Nasz Dom (meaning Our Home) was opened in Pruszków near Warsaw. Founded by Maryna Falska, the home was run in collaboration with Korczak, benefiting from his wealth of experience. In 1928 Nasz Dom relocated to the Bielany area, to a new building especially designed as an orphanage. Korczak worked at Nasz Dom through to 1935, when his ties with Falska began to falter. But the Orphans’ Home and Our Home institutions weren't the only aid centres Korczak was connected with. A list of them would not be complete without mentioning his life’s last experience as a children’s carer. On 9th February, 1942, just a few months before his death, Korczak filled in an application for the post of educator at the Main Home of Refuge on 39 Dzielna Street. At the time this institution was truly hell on earth, and a place which seemed gloomy even from the perspective of the ghetto. Orphaned children from the entire closed district were transported to this place, where those looking after them included some very suspicious figures, and where dozens of the smallest children died every day, while those left alive were deprived of any hope. And even at a time like this, even in an infernal ‘pre-burial house’, as the place was called, Korczak still believed some kind of a change was possible, and that there were important things that could be done. Korczak had a rather complex relationship with religion. Even though he grew up in a layman’s home, and his father distanced himself from religion, throughout his life Korczak constantly sought some form of religious truth. Religion was a also a point of controversy between him and his collaborator Maryna Falska, who was a declared atheist and who couldn't imagine setting up a chapel inside the building of Nasz Dom. Korczak was convinced that children – and especially affected by cruel fate – needed to have some form of contact with God in their lives. Finally, Falska agreed to delineate a special space inside the building, a so-called ‘quiet room’, where children could spend some time alone. Korczak’s series of writings entitled Sam na sam z Bogiem. Modlitwy tych, którzy się nie modlą (Alone with God: The Prayers of Those Who Do Not Pray) is devoted to the question of spirituality. Korczak’s engagement with theosophy is particularly interesting in this respect. This spiritual movement drew on Oriental religions but also various Egyptian and neo-platonic doctrines. Its members believed in the possibility of humankind’s inner transformation, and various spiritual practices and meditation were meant to serve this purpose. In the 1930s, the village of Mężenin by the Bug river became a regular meeting-spot for Polish theosophists. Sometimes children would come along with their parents for these unconventional holidays. One of the many interesting personas who regularly visited Mężenim was General Michał Tokarzewski-Karaszewicz, a follower of Piłsudski, and a member of Le Droit Humain Mason’s Lounge, of which Korczak was also a part. The spirituality of theosophists and their faith in the transformation of society must have appealed to Korczak. But perhaps the best testimony of Korczak’s religiousness and sense of identity can be traced in an inscription dated for September 1940 which he wrote in a German questionnaire. Under the religious faith category, Korczak wrote ‘Jewish’. The letters which have the biggest value are those where someone writes about things that they cannot tell their parents or things that they are not allowed to say at school. The things that children talk about between themselves, and now they have the chance to say it out clearly in all honesty, without shame or fear that someone will laugh at them. As a result, The Little Review became a forum wherein children formulated their own problems and issues, which in fact turn out to be simply problems shared by the world. During the first 10 years, an average of 4,000 letters were submitted annually, with about three thousand regular correspondents. There were very engaged reportage articles, such as Harry Kaliszer’s texts, or those by Lejzor from Gęsia. Kuba Hersztajn was the author of fantastic sports articles, and there were also various contests, crossword puzzles and games. The prominent writer Józef Hen and the renowned philosopher Zygmunt Bauman were among the paper’s regular collaborators in their childhood. Although The Little Review was addressed mostly to Jewish children, Polish children also often submitted their texts. And this was part of its phenomenon. Korczak’s engagement with radio is another special area of activity which adds to his literary work. Between 1934-36, he had his own radio show, as part of which he created the figure of the Old Doctor. A fully-developed radio character, the Old Doctor was admired by children and entire families of all faiths. The Old Doctor created a warm atmosphere, full of trust towards children. After an unexplained break in the broadcasts, which might have had something to do with growingly anti-Semitic tendencies, Korczak returned to the radio in 1938 with a new series of broadcasts for older children and adults. His last show took place in 1939, when he addressed children in an attempt to soothe them and prepare them for what was coming. Unfortunately, no recordings of his broadcasts have survived, we do not know and we will probably never find out what his voice sounded like. But we can read the content of his presentations; their transcriptions are included in the 10th volume of his Dzieła (Works). The selection is also available in Polish at www.pskorczak.org.pl. Korczak travelled twice to Palestine. His first journey was in 1934, when he spent the entire duration of his stay at the Ein Harod kibbutz. Two years later, he went again, visiting Tel Aviv, Haifa, and Jerusalem, and going around the kibbutz where he closely observed the hard life of the settler, and new conflicts with the Arab inhabitants. Both journeys were very inspiring for Korczak. After returning from the second one, he began to write prose about the childhood of Moses, envisioning a series about the Bible’s children. In the last years before the outbreak of World War II, Korczak seriously considered the possibility of emigrating to Israel. The fascist character of political life in Poland and soaring anti-Semitic moods across all of Europe, as well as the growing depression – all of these factors had a big impact on his decision. On August 2nd, 1939, Korczak asked about the possibility of visiting Palestine in a letter to a friend. He did not leave. In May, 1939, after more than a year spent in Palestine, Stefania Wilczyńska returned to Poland, as if she could sense the approaching disaster. She soon accompanied Korczak and the children on their way to death. 12. Did Korczak accompany his children to Treblinka out of his own free will? A popular legend repeated numerous times has it that Korczak accompanied his children to the Umschlagplatz, and then to Treblinka of his own free will. What does this sentence mean? The phrase ‘of his own free will’ can suggest that Korczak had some kind of choice, that he could have saved himself or that he could have simply not gone to the Umschlagplatz (ergo he was not a Jew). All these sermons and talks about his heroic death, because he would not leave the children on their way to the gas chamber and just go on living as if nothing had happened – it’s the biggest offense to his noble soul. – Henryk Grynberg, in Prawda nieartystyczna (The Non-artistic Truth). (...) when I graduated from school, I thought that Korczak was a good Pole, who, for some unexplained reasons, found himself in the ghetto where he looked after Jewish children. The fact that this was I thought is not so much a result of what I was told, but rather of what I was not told. So, perhaps it’s worth saying it clearly: Korczak was a Jew (see point 1) and it was as a Jew that, together with his children, he was condemned to death.